André Dietz aka Ingo Zadek. Oh how would I have liked that! I so would like if Ingo was gy! Or at least bisexual. I never really liked Ingo with Bea. I liked Bea with Ben and I liked Ingo with Annette. But Annette died so... 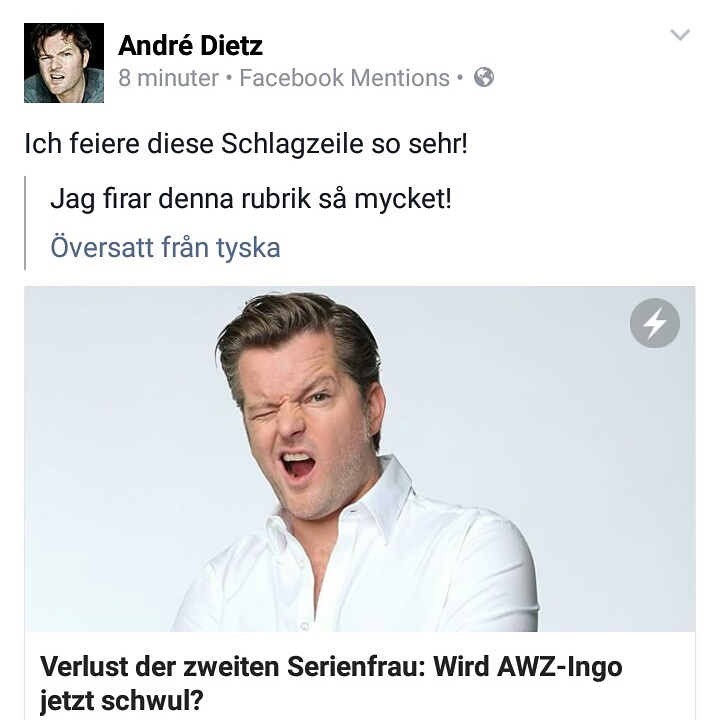 BUT, if Ingo turned out to swing that way, it would be a perfect opportunity for Deniz (Igor Dolgatschew) to come out of the closet again! After Roman (Dennis Grabosch) died Deniz have been straight, straight and straight and his girlfriends have been really boring! But I can actually see Denis and Ingo together! I would rather see Ingo with Roman but he died so that is not an option. So, if you won't give Deniz to Ingo, please give him another man! I think we do need some boy-on-boy action again in Allez Was Zählt! Honestly, I'm glad Deniz is dating girls now, because I honestly couldn't even picture him with another man after roman's death :( However, this new dynamic would've been interesting. Well I'm not watching it either, but if there would be a romance with Deniz and Ingo, I would certainly watch!